The National Metrology, Standardization and Industrial Quality Council (CONMETRO) is the regulatory authority of SINMETRO and is chaired by the Minister of Development, Industry and Foreign Trade (MDIC). It establishes, coordinates, and supervises matters related to standardization, metrology, and industrial quality. CONMETRO operates through its technical advisory committees: the Technical Barriers to Trade Coordinating Committee (CBTC), the Brazilian Committee on Conformity Assessment (CBAC), the Brazilian Regulation Committee (CBR), CBM (scientific metrology), CBN (standardization), CBL (legal metrology), CODEX (Codex Alimenetraris), and OMC (Single Point for WTO). Participation in these committees is open to society; generally, entities representing the academic subject areas, industry, commerce, and other entities interested in the topics of metrology, standardization, and quality in Brazil are participants. The Brazilian government and CONMETRO coordinate with the public through 33 government entities, which operate in a wide variety of sectors for the purpose of regulating commercial economic practices, production and service delivery, as well as interactions with consumers and the effects of these practices on the use of natural resources and the environment. This coordination, aside from improving the quality and competitiveness of products and services developed in Brazil, promote sustainability initiatives in their various dimensions, being aligned with international best practices. The National Institute of Metrology, Standardization and Industrial Quality (INMETRO) is a semi-independent federal agency linked to the Ministry of Development, Industry and Trade (MDIC). MIDC acts as the Executive Secretariat of the National Council of Metrology, Standardization and Industrial Quality (CONMETRO), an inter-ministerial collegial body, which is the regulatory authority of the National System of Metrology, Standardization and Industrial Quality (SINMETRO). Its mission is to provide confidence to Brazilian society in measurements and in products, through metrology and conformity assessment and to promote the harmonization of consumer relations, innovation, and Brazil’s competitiveness. INMETRO has as the following operational areas: Scientific and Industrial Metrology, Legal Metrology, Accreditation of Laboratories and Organizations, Conformity Assessment, and the Brazilian Legal Metrology and Quality Network - INMETRO (RBMLQ-I). It is the Enquiry Point on Technical Barriers to Exports of the Agreement on Technical Barriers of the World Trade Organization (WTO). Metrology is the science of measurement and its applications. It can also be described as the science that covers all theoretical and practical aspects related to measurements, regardless of the uncertainty in any field of science or technology. However, metrology is crucial for commerce because it ensures correct measurements and thus protects consumers, ensures fair trade practices, promotes development of innovative products, and enables companies to participate in global chains of production. This concept is important because metrology is the basis of issues related to technical standards, technical regulations, and conformity assessment programs (product certification, testing, and quality control). INMETRO is responsible for the management of conformity assessment programs within the Brazilian Conformity Assessment System (SBAC). As such, it has special expertise in deploying conformity assessment programs with follow up assistance for products, processes, services, and personnel. Its programs are fully aligned with the policies of the National Metrology, Standardization and Industrial Quality System (SINMETRO) and international practices, promoting competitiveness and fair competition while protecting the health and safety of both citizens and the environment. Its target audiences are the productive sectors, regulatory authorities, and consumers. The process of preparing conformity assessment programs is premised on deployment with follow-up assistance and is conducted in a manner which identifies factors that facilitate, or hinder, its implementation. Quality in the context of INMETRO includes the degree of compliance (or conformity) of a product, process, service, or even a professional with the minimum requirements established in technical standards or regulations, at the lowest possible cost to society. Accreditation is the formal recognition of the technical expertise of the organizations that perform conformity assessment. In Brazil, INMETRO is the only official accreditation agency and it conducts its activities independently, without any regulatory oversight, whether internal or external. One of the methods used to safeguard its impartiality, while maintaining the main principles and policies for accreditation system operations, is based on participation by the stakeholders, which is accomplished through the Accreditation Council (Conac). The Brazilian Technical Standards Association (ABNT) is a private, non-governmental, not-for-profit organization that develops standards across all industries in Brazil. 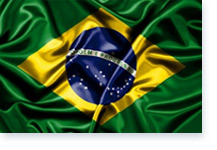 It is the only recognized national forum for standardization in Brazil. ABNT represents the country in relevant international and regional forums and acts as a certification body. Brazilian standards are developed either through ABNT’s own technical committees or through sectorial standardization bodies (ONS), which it accredits. ABNT’s main objective is to coordinate, guide, and supervise the process of preparing Brazil’s national technical standards. ABNT is a founding member of the International Organization for Standardization (ISO), the Pan American Technical Standards Commission (COPANT), and the Mercosur Standards Association (AMN). Since its founding, it has also been a member of the International Electrotechnical Commission (IEC). ABNT is responsible for publishing Brazilian Standards (ABNT NBR) prepared by its Technical Committees: Brazilian committees (ABNT/CB), sector-specific standardization organizations (ABNT/ONS), and its special studies committees (ABNT/CEE). Since 1950, ABNT has also worked on conformity assessment and has programs for certification of products, systems, and environmental labeling. This activity is based on internationally accepted technical principles and guidelines, as well as on a technical structure of multidisciplinary auditors, thus ensuring credibility, ethics, and recognition of services rendered. Working in harmony with the government and society, ABNT contributes to the implementation of public policies and promotes market development, consumer protection, and citizens’ safety. The Brazilian Legal Metrology and Quality Network – INMETRO (RBMLQ-I) is the executive branch of the Brazilian institution that is responsible for verifications and inspections regarding measurement instruments, oversight of product conformity, and precision control of quantitative indicators of pre-measured products, in accordance with the legislation in force. It is comprised of 26 delegated entities, 23 of which are State government agencies, one is a municipal entity, and two are INMETRO Superintendents.